Is an incentive driven scheme that rewards you for every turn you make with Snoworks. Ski more, experience more, enjoy more and now get more off your next ski course. If you haven’t yet been with Snoworks you can start earning SkiMiles™ from your very first course. Note: SkiMiles™ are not earned on courses that have qualified for other discounts, GAP courses and some instructor training. You can keep adding up your SkiMiles™ and use them whenever you wish or trade them in for a discount on your next Snoworks ski course. At the moment SkiMiles™ can only be used for future discounts on Snoworks ski courses, but in the future we hope to add offers on ski equipment, clothing and other ski related stuff. So keep hold of your SkiMiles™. HOW MUCH ARE SKIMILES™ WORTH? SkiMiles™ awarded for booking a ski course can equate up to 5% of the course fee paid and this can be added to with extra incentives. So now, as a bare minimum for every ski course booked, you could get up to 5% off your next ski course. That could equate to the equivalent of a completely free ski course for every 20 booked. That may seem a lot but SkiMiles™ can build up quickly. WHEN CAN I START EARNING SKIMILES™? SkiMiles™ can be earned on any qualifying course booked with Snoworks immediately (For exceptions: see terms and conditions). 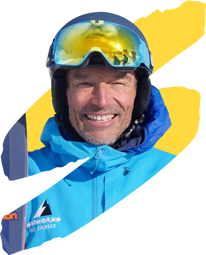 SkiMiles™ is a Snoworks customer reward scheme solely for the use of those booking a ski course with Snoworks. Snoworks reserves the right to change, add, amend SkiMiles™ earned and traded at any time, and will give notice accordingly. Snoworks reserves the right to change, add, amend the items in which SkiMiles™ can be used against at any time, and will give notice accordingly. SkiMiles™ are earned on the value of the course fee paid and can be supplemented with other incentives. SkiMiles™ can be saved up and on reaching the required number can be traded in for a full course or used an any future course for a part discount. From the last course taken with Snoworks. SkiMiles™ are not applicable in conjunction with any other discounts or offers. SkiMiles™ are not applicable to Gap courses and some Instructor Training Courses. SkiMiles™ are only applied to the lead name of a booking and are non transferable. SkiMiles™ can not be applied retrospectively to a booking once fully paid. SkiMiles™ have no cash equivalent.